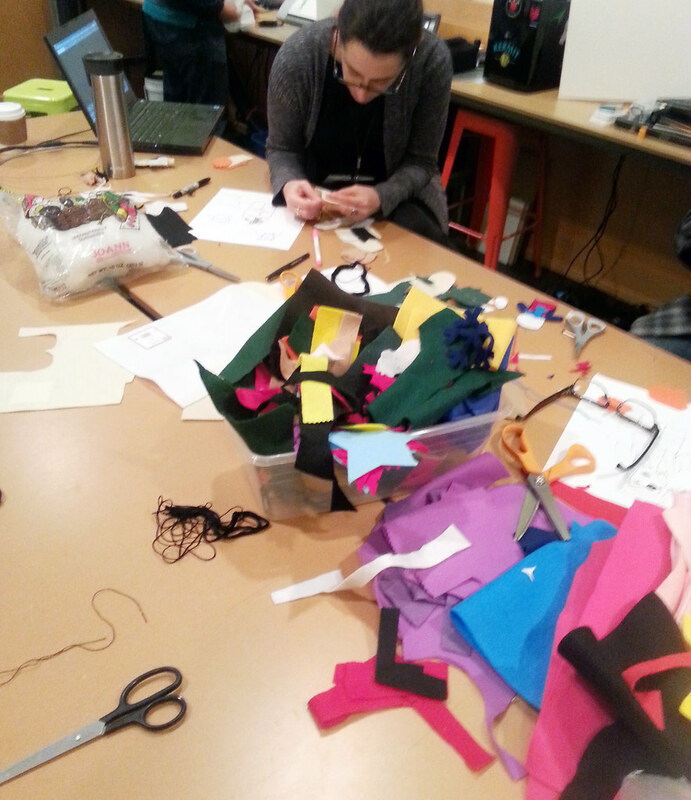 On Monday I had the opportunity to teach a puppet-making workshop at the Maker Lab at Harold Washington Library. That morning the news had broken that David Bowie passed away overnight, and it was clearly on everyone’s minds. 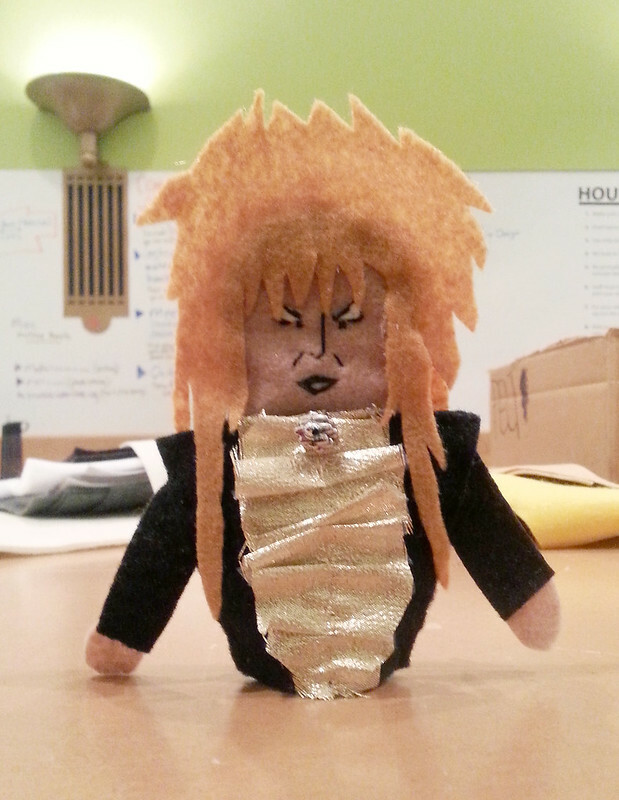 I had intended on allowing participants to chose their own hero to commemorate as a puppet during the class, but someone suggested early on that the different Bowie eras people had been seeing on social media all morning would make the perfect subjects. 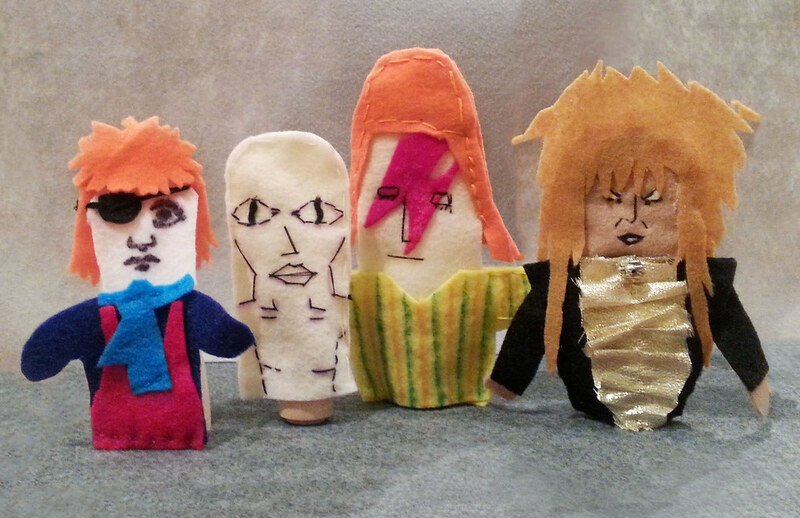 So each person set out to select their favorite Bowie, from an eye-patched Ziggy Stardust, to the hairless The Man to Fell to Earth, Aladdin Sane’s iconic lightening bolt, and Labyrinth‘s flamboyant Jareth. The class would have been fun regardless, but the special subjects turned it into a lovely tribute as well. 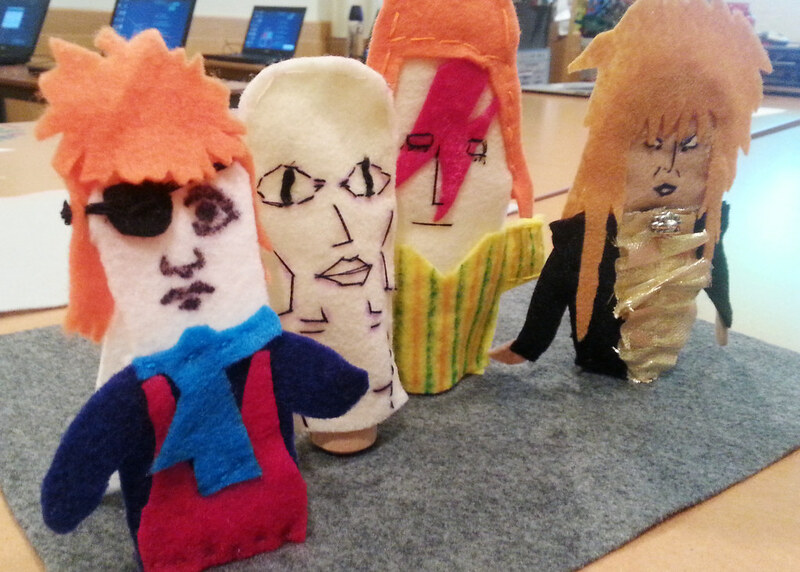 Not to mention the amazing creations that came out of the event. Thanks to Harold Washington Library and One Book, One Chicago for having me!